The immediate cause of his resignation was the release of the smoking gun tape, which was coupled by the total loss of political support, as well as his legal team throwing in the towel. The spin attempted to make it look better was that he had been told by the visiting Congressmen (Senator Minority Leader Hugh Scott, Senator Goldwater and House Minority Leader John Rhodes) that his prospects on Capitol Hill were gloomy and that the GOP was facing a total wipeout in the November off-year elections. 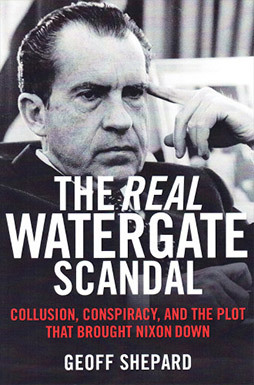 It also was alleged that Nixon knew what else was on the tapes and that he feared the loss of government pension if he were impeached and then convicted in the Senate. Nixon’s family and a few core supporters argued against his resignation up to the very end, but I think he was devastated at the collapse of any political or legal support.